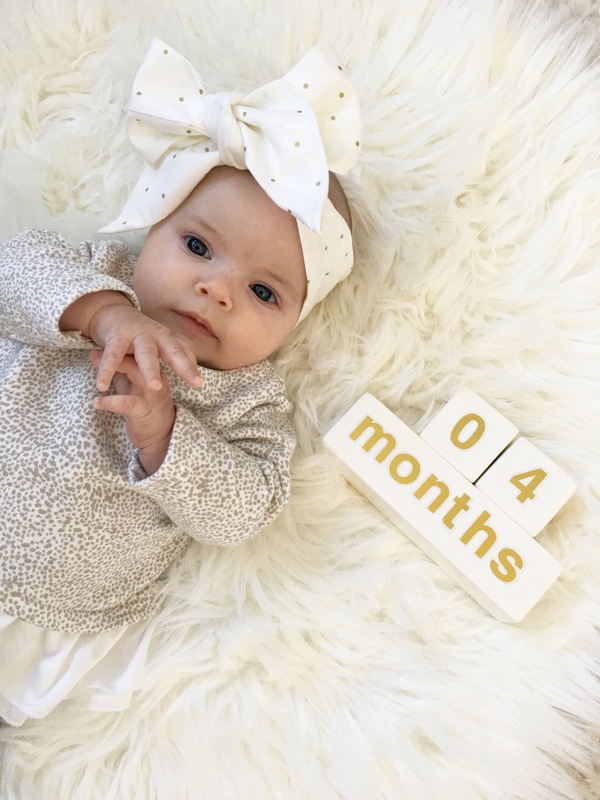 Our little pumpkin turned four months old on the weekend! Wow, how time flies! She currently weighs 11 pounds, 7 ounces and is still a tiny one as she is in the 5th percentile for weight. She is now back to being average for length and that is definitely showing in her onesies! Four years ago today I made the best decision of my life when I walked down the aisle and I said “I do” to my best friend. 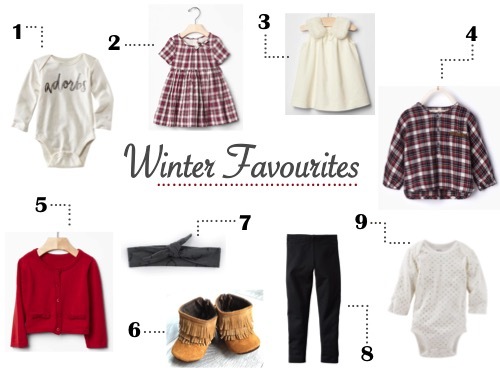 Winter is upon us whether we like it or not and instead of complaining about the upcoming -40 degree celsius weather, I will embrace it by hiding in my home with a hot chocolate in hand and a computer on my lap to online shop for all things red, plaid and faux fur! Our little pumpkin (how fitting for last month!) turned three months old on October 28. The changes over this past month have been incredible. Not only for myself, but also for Miss Lace. I’ve always enjoyed putting together my own Halloween costume, even though there are tons of awesome options out there to purchase. The excitement for me is pulling together items from stores that I can customize or finding the perfect article of clothing that screams an idea at me from the local thrift store. For Emsley’s first Halloween I knew I needed to channel my creativity into her costume as these days I no longer have anywhere to wear one! Being that Emsley is only three months old I knew I needed a costume that would look cute on her from a top down view as she spends the majority of her days lying on her back. 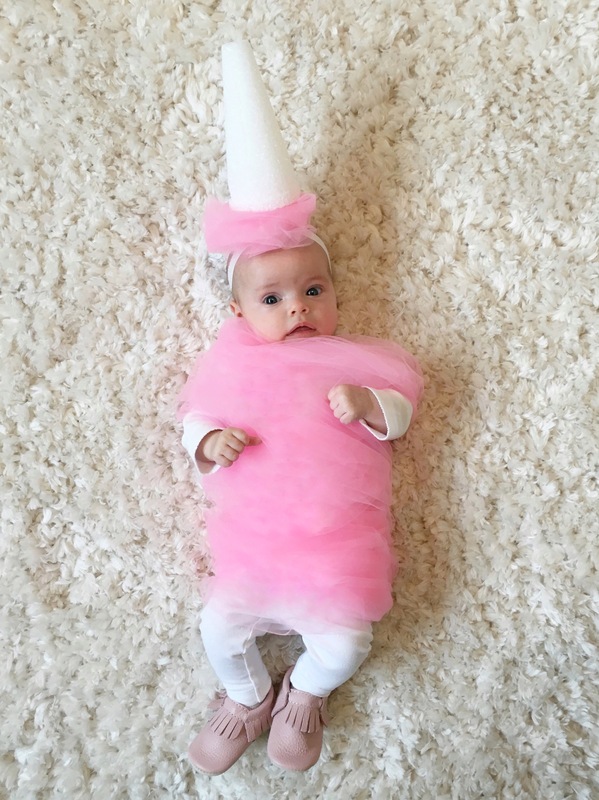 I randomly saw a picture of a “Cotton Candy” costume from Pottery Barn Kids and knew I could easily make a version of it.